Anthony Lee Akee, 54, passed away peacefully Monday January 28,2019 in Salt Lake City, after having a massive stroke and fighting hard to be here with his children and the people he loved. He was surrounded with family when he finally gave up the fight. He was born June 7, 1964 to Lee and Rena Akee in Tuba City, Arizona. He married his high school sweetheart Cindy Schlapfer and they had 4 beautiful children together. The marriage ended in 2013, however they found friendship despite all the trials they were dealt. 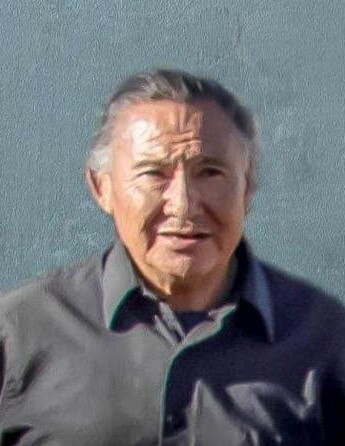 Anthony is survived by his children: Alex (Rylee) Akee, Amber (Seth) Simons, Trevor (Cheyenne) Akee, Teirra Sackett (Kyle O’Rian); and 9 grandchildren; sister, Margie Mann; and many nieces and nephews, along with the family of Bob and Sue Pace, who he lived with for many years on the placement plan for school. Anthony was preceded in death by his parents; brother, Roland Akee; and sisters: Grace Carnes and Loraine Akee. He had a love for his children and family, the outdoors, and old westerns and war movies. He will be dearly missed by his family and loved ones. The family would like to extend a special thanks to Dan Jorgenson and his family for all they have done for him the past few years. You have been a big part of his life and become like family to him as well as his children. We would also like to thank the EMTs, the Gunnison Valley Hospital and the University of Utah for the quick response and excellent care they gave to him and the support to the family.